I was trucking down South Washington Street with my little boys tonight when I spotted this sign. In the past when I’ve driven past Cornerstone I’ve noticed other humorous witticisms, but this one I found particularly funny. 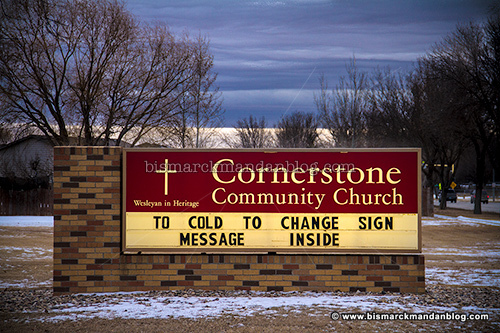 This entry was posted in Around Bismarck-Mandan, Faith, Funny/Unusual, Signs, Logos, Typos by Clint. Bookmark the permalink.